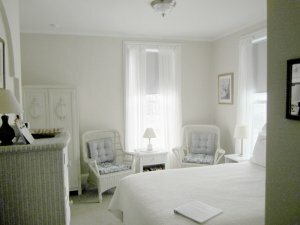 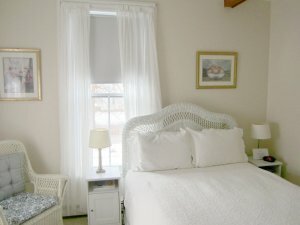 The Wicker Room is located on the second floor and has a private bath. Decorated with wicker and soft pastels, the room is warm and bright. 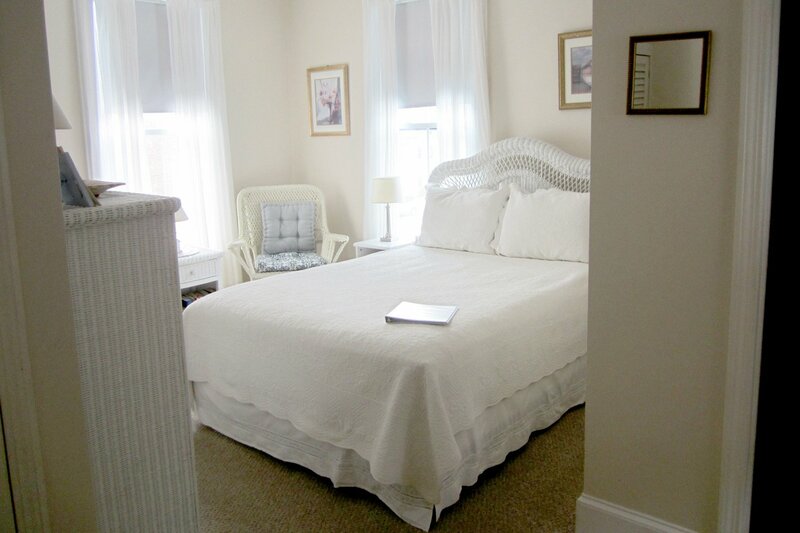 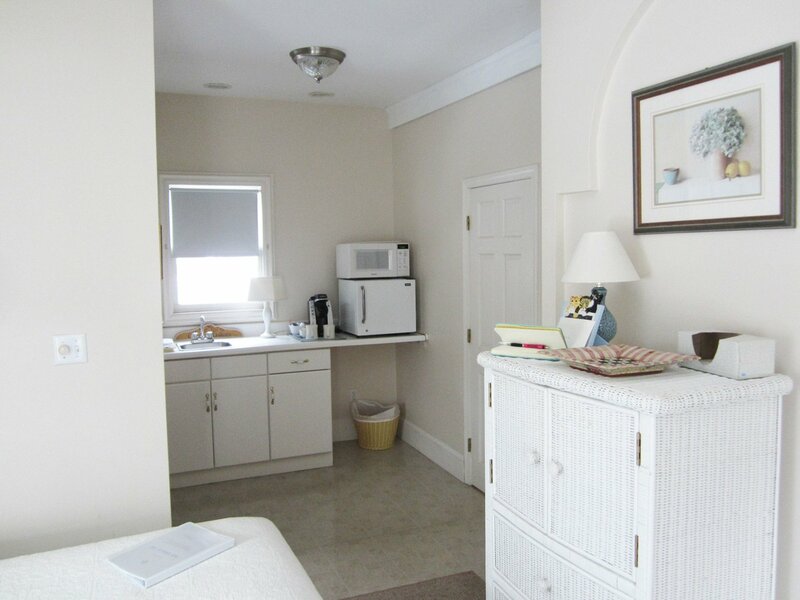 It is very comfortable for two people with a queen bed and is one of our most popular rooms.